"India's commitment to the Palestinian cause and our solidarity with the Palestinian people can never be undermined," Sushma Swaraj said. "Palestinian cause has been a reference point of India's foreignpolicy," Sushma Swaraj said. New York: India today reaffirmed its commitment to the Palestinian cause and said that New Delhi's solidarity with the people of Palestine can never be undermined. 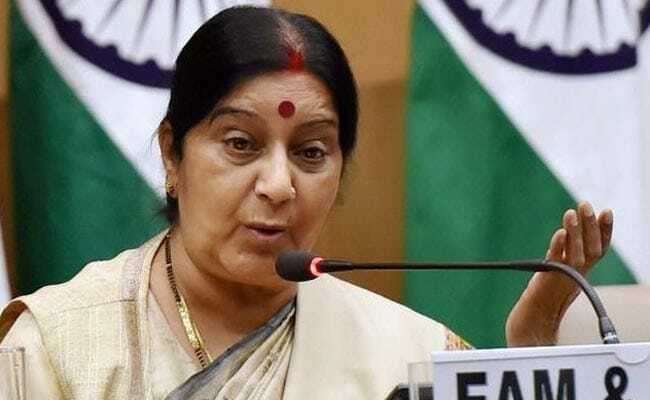 External Affairs Minister Sushma Swaraj, during a Non-Aligned Movement (NAM) ministerial meeting on Palestine in New York, said that the support for the Palestinian cause has been a reference point of India's foreign policy. "India's support for the Palestinian people and the Palestinian cause is historical, going back to a period before our own independence. For independent India, support for the Palestinian cause has been a reference point of its foreign policy," she said at the conference being held on the sidelines of the UN General Assembly. This NAM Committee will always have a special place for India as it was during its chairmanship of the Movement in 1983 that it was first set up, Ms Swaraj said. "India's commitment to the Palestinian cause and our solidarity with the Palestinian people can never be undermined. "I strongly believe that India's expanding relations in the region with all nations will only strengthen the Palestinian cause," the minister said. During Prime Minister Narendra Modi's visit to Israel in July, India reiterated the need for a just and durable peace in the region. "The path to this clearly lies in an early negotiated solution between Israel and Palestine based on mutual recognition and security arrangements," Ms Swaraj added.